We can finally talk publicly about a debate that may end confirmation in the Anglican Church in Aotearoa, New Zealand and Polynesia. I have introduced some background to this discussion here: To Confirm or not to Confirm? In November last year, chaplains in Anglican schools received the Report (“A Recommended…”) and the Draft Liturgy Laying on of Hands (but, interestingly, we did not receive the Draft Liturgies Baptism). I made a request that this material be public to enable discussion but was informed we would need to wait until the GSTHW documents went online (regulars here know I have long pressed for public, online availability of GSTHW material, and we achieved agreement on this – see 23 May Update). I would have liked to have seen far more information disseminated – education and discussion about baptism and confirmation. Do many people even know that removing confirmation is a discussion/debate? How informed on these theological and liturgical discussions will the GSTHW members be? If GSTHW made the changes to the Draft Liturgies Baptism that I suggest below, I would be happy to support it as a formulary of our church. The confirmation you have when you don’t have confirmation. Aside from removing the term “confirmation”, and some relatively minor alterations, essentially the Draft Liturgy Laying on of Hands is our current Prayer Book confirmation rite extracted from the liturgical snakes-and-ladders, pick-a-path rite of pages 383-399. This Draft Liturgy Laying on of Hands is a rite that may only be led by a bishop. Why?! From the earliest times the role of the Bishop has been central to nurturing the life of the Church. Likewise, the liturgical laying on of hands has been a part of the church’s ritual from the beginning. Confirmation is still deeply entrenched in Anglican consciousness. Although confirmation has not been required to receive communion for about half a century, older Anglicans often still think confirmation is required (NB Anglicans are disproportionately older). Although baptism has been the rite of admission to communion for quarter of a century, a rite of “Admission to Communion” still occurs in many places. I recently attended one in a cathedral, presided over by a bishop. It seems that “baptism = admission to communion” still has a way to go before it is the default position within our church. Confirmation is tightly associated with Christian education and formation – so much so that, in the little discussion I’ve seen, removing confirmation is equated with removing the opportunity for education. Confirmation is, for some/many, the graduation ceremony of an education programme. For some/many, removing confirmation is removing the opportunity to make a public declaration of faith. People, all the way to bishops, still teach and preach that one receives the Holy Spirit in confirmation. Confirmation is a canonical requirement for ordination – although it is one of the requirements that is sometimes omitted, it is unclear whether it is merely a discipline or a doctrine. Is confirmation understood by any/many/most as a theological requirement for valid ordination? 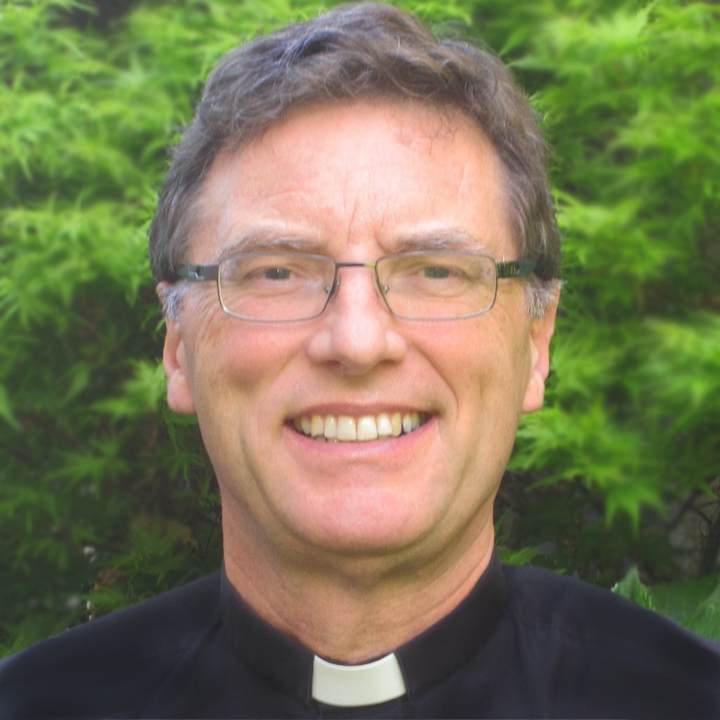 If we remove confirmation – will this affect the interchangeability of ordained ministry of some of our clergy even within the Anglican Communion? This is not a discussion whether or not bishops, in fact, currently follow the canonical requirements or not. This is a discussion about whether or not we no longer need to. Baptism is full initiation into the Church. Confirmation is not a completion of Baptism. Participating in the Eucharist and receiving Communion completes initiation. The Eucharist is the repeatable part of this initiation. You are Baptised. Full stop. Period. You are baptised into the Church, the Church Catholic, the whole Church. One receives the Holy Spirit in Baptism. Confirmation does not give the Holy Spirit – as if one didn’t receive the Holy Spirit in Baptism. Confirmation doesn’t give ‘more’ of the Holy Spirit. There are any number of ways to reaffirm/ renew baptism: in the Eucharist by receiving communion, by reaffirming verbally the baptismal promises, by a public form of testimony, by actually going and living the Christ-life in the world – putting the baptismal covenant into practice. Confirmation is not ‘lay ordination’. It is not a ‘first ordination’ – as if we are collecting postage stamps, and the best, the goal, is to have the whole set. I am open to the discussion but have yet to be convinced about the Russian Doll theory of Christianity: inside every archbishop is a bishop, inside every bishop is a priest, inside every priest is a deacon, inside every deacon is a confirmed person, inside every confirmed person is a baptised person, inside every baptised person is a human being. We do not delay sacraments until they are fully understood by the recipient. Just as we do not delay feeding a child until s/he fully understands the biology of nutrition, so we don’t leave nourishing the Christ-life in a person until they can articulate that to a certain standard of competency. We can and should revisit the Kiwi eccentricity that parents/godparents/caregivers cannot make promises on behalf of the one being baptised. I think the faith into which a person is baptised and the declarations and promises by the one being baptised (or on behalf of this person) are best prior to baptism. Not the NZ Anglican version of pouring water over someone and then seeing if they believe anything now! [Remember that the declaration-before-baptism option is now authorised]. I think that education, formation, and renewal is lifelong. Abandoning or altering confirmation is not abandoning or altering catechesis and mystagogia (going deeper into the Christian teachings) – the educational and formational opportunities the church offers. Download this draft liturgy from here. Please note, these are only initial thoughts – yesterday was the first day I had access to this draft rite. If a priest uses Chrism in signing the newly baptized, it must have been previously consecrated by the bishop…The sign of the cross after baptism may be made with oil set apart for this purpose by the bishop. 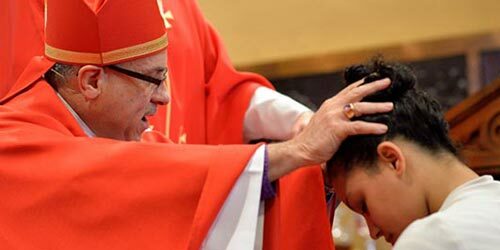 It is appropriate for the bishop to do this on Maundy Thursday, or some other day in Holy Week. Currently, the oil at baptism may be set apart by a bishop or priest. This draft rite distinguishes oil for baptism from oil for healing and refers to it as blessing oil. There appears no change suggested to who may set apart the oil for healing which is currently done by a bishop or priest and referred to as consecration (page 746). This may be unclear. We do not have a definition of “the proclamation of the Word”. In our formularies “The Proclamation” includes “The Sermon” – yet in this draft it has “The service may continue with The Sermon“. Two rites of Baptism are presented: The Liturgy of Baptism Of Children [which, oddly, has the rubric “Each candidate for baptism is presented individually by a sponsor or, in the case of a child, by a parent or godparent, who says” (my emphasis)]; and then there is a second rite, The Liturgy of Baptism Of Adults. At first glance, I cannot see instructions for baptising children and adults together in the same service – certainly a regular occurrence. I am struggling to see why the two rites of Baptism cannot just be simply combined into one. As the community of faith, we rejoice at this baptism and will share with N what we ourselves have received: a delight in prayer, a love for the word of God, a desire to follow the way of Christ, and food for the journey. N, you are now a pilgrim with us. and follow Christ your whole life long. I see absolutely no justification for having a separate rite for children and for adults. Theologically, I think it is confusing, to say the least. Liturgically, it is totally unnecessary. The “Baptismal Covenant” is not (as might be thought at first glance) the “Commitment to Christian Service” that we are used to (our Prayer Book page 390), but TEC’s BCP Baptismal Covenant, complete with USA spelling of “neighbor”. It is good that some memorised, regular responses are used (“The Lord is here…”). The middle and end of the Thanksgiving over the Water still require people to have heads in books or eyes on projector screens rather than towards the font/water. Worst is the draft rites continue to require a lengthy congregational response (“Amen. God receives you by baptism…“) right at the moment of baptism. This merely continues out church’s deficient understanding of liturgy. At the very moment of baptism people are focusing on words rather than action. [This inadequacy is again evident with the addition of a new congregational response to presenting a candle]. IN CONCLUSION I think this draft baptism rite is a huge leap forward from our current Prayer Book rite. It doesn’t have the liturgical-snakes-and-ladders instructions of our current rite which feels like it was designed by a “pick a path” author. Nor does it have the pour-water-on-them-and-see-if-they-believe-anything theology. Combine the adult and child rites; tidy up a few things and pass it. If I, personally, was writing it de novo, you know I would use the regular, memorised responses, and have people participating fully, having their eyes on the action. But heads in books and heads looking at screens is what I am stuck with in our church. 26 Responses to The End of Confirmation? Confirmation surely completes initiation. By all means let this happen AT baptism. It seems to be far too easy to dismiss and throw out things we don’t quite understand YET. Adults in the RCC and children in Eastern ritess are immediately confirmed after baptism. Confirmation has a rich and varied history, we shouldn’t let it go without a fight. Thanks, Peter. Your comment needs a little unpacking, please. Are you advocating the priest who baptises confirms? And how? By laying on of hands? By anointing with chrism (in other words make that compulsory)? And would you require such chrism to be blessed by a bishop? Easter Season Blessings. Our orthodox brothers and sisters do a combination of baptism and confirmation. We kind of do that with the chrism now. Also, a whole other topic, let’s stop the transitional diaconate. It is rather embarrassing that baptism has been full initiation in to communion for so long and people still don’t know it. Thanks, Lyndon. The theological clarification that is needed is – what does chrismation add to baptism? On your “whole other topic”: put “per saltum” into the search box, top right of this site. Easter Season Blessings. In many American Episcopal churches we erect no barrier to participation in the eucharist. Full stop. I am fully on board with this approach although I can understand how it could raise red flags for some. One of the pastoral advantages of what is proposed is that affirmation could be administered at any age. I am chaplain in a primary school, and such a rite would provide a very good opportunity for Year 8’s to affirm their faith prior to going to secondary school. Under present understandings of Confirmation they are considered too young, and the church misses acknowledging this important moment in a suitable way which is of course, by the laying on of hands and prayer. At present we would be reluctant to offer this at that point because it would be too much like confirmation and would create confusion. If there was no Confirmation, then rites of affirmation could be offered at various stages through childhood and adolescence as appropriate. I think you are opening up a really important discussion that possibly needs its own blog post and thread. Let me first describe negatively that by having baptism = admission to communion, and by the loss of confirmation (let’s at least be honest, even without this new proposal to GSTHW – the numbers getting confirmed aren’t exactly huge): two significant rites of passage (at the end of primary and at the end of secondary schooling, if you will) have disappeared. What you are inviting us to consider is to create new markers, new, appropriate rites of passage that will mark significant stages on life’s journey – a young person’s faith journey being part of that. I am not sure that this new rite, and the requirement that it must be led by the bishop, is the answer – but I think that your insight needs some further open discussion. Thank you for starting it. The Eastern and Oriental Churches have no chrism-anointing at baptism, but «chrismation» happens just after baptism. I don’t know by which trick, in the West, when confirmation got detached from baptism, they preserved an anointing with chrism, still saying it is not the confirmation (and making a second anointing with chrism, years later, at «confirmation»). The Christ-Catholic (Old-Cath.) Church of Switzerland (Union of Utrecht) recognised that the chrism-anointing at baptism is the sacrament of confirmation. They go on organising later on a “confirmation”, for the sake of customs, but which is not the sacrament of confirmation. Thanks, George. I think this historical convolutedness is part of the knotted string that is being attempted to untangle. Blessings. Bad metaphor, here’s a better one. You do not put a three year old whose legs aren’t long enough to reach the pedals in the driving seat of the car, put the key in the ignition, and tell them “off you go”, unless you are either stupid or a sadist. You wait until they are competent to handle the multiple processes required to drive safely. If you don’t leave anything for people to grow into, the majority of them walk out when they start secondary education, never to return. Can you expand your metaphor, please? Should we, in your thoughts, delay receiving communion until late teens, as Anglicans used to? How do you determine when the “feeding a child” metaphor is appropriate (or “bad”), and when the “driving a car” metaphor is “a better one”? It would be good to go to the original meaning of Confirmation- strengthening by the Holy Spirit (2 Tim.1:6 )and the Anglican re- affirmation of baptismal promises. No Confirmation in NZ seems to be the 400 years of uncertainty in Anglican Confirmation. It never was an Initiatory rite except in Orthodoxy. Baptism has always been full initiation . But like the Orthodox we could consider Confirmation as an Ordination to the RESPONSIBLE priesthood of the laity. This is the stage of growing up for both boys and girls and would satisfy Andrew Starky’s suggestion. Thanks, Francis. There is an added complication in NZ in that our baptism rite, as indicated, is explicit that no promises are made on behalf of infants being baptised. At confirmation, in NZ Anglicanism there are no baptismal promises to re-affirm. Easter Season Blessings. I see all your points and remain unconvinced by some. I think it worth asking whether we Anglicans might usefully learn something from the Eastern Orthodox (closer linkage of confirmation to baptism) and from the Roman Catholic Church (separating confirmation from (infant) baptism and linking it, along with first communion, to mark a point or points in a child’s development, cf Andrew Starky’s comment above). In both EO and RCC approaches there seems to be a correspondence to strong congregational life, so pragmatically they may be on to something? I am not at all sure why we would invent new traditions for (roughly) the 8 years old child and 13 years old youth: first communion and then confirmation respectively could serve well. Especially if we actually agreed as a church to such practices. One of my bugbears about current practice is that there is no commonality between parishes, between dioceses. I am firmly opposed to first communion “for (roughly) the 8 years old child” and totally supportive of communion for all the baptised. I do not support mangling communion into the reward at the end of an 8-year-old-rite-of-passage programme. Confirmation comes laden with so much baggage, I’m not convinced it is usable, as you suggest, as a 13-year-old rite – but I’m listening. Not that long ago, our Church was committed to the catechumenal process, and I, for one, produced a number of rites (for different stages of growth) which were widely used (and are still available in Celebrating Eucharist and on this site). Our attention-deficit Church has moved on through several other church-numbers-saving programmes, but the principle of producing appropriate rites for specific stages, I contend, still holds. I agree with your bugbear – including beyond the practices being discussed. Perhaps part of the problem of commonality is that there is not a commonality of situation. In larger cities, many non-Christians are not baptized. In the small town/village areas I have lived in, every single person born and raised in those towns was baptized, including the atheists, prostitute, thief, and murderer. Therefore, to the people outside the church, baptism means nothing more than a photo op for the grandparents. Certainly it’s not making you a Christian. They’ve had it and they know they aren’t–and telling someone they’re Christians whether they like it or not has brought out hairdryers in “de-baptism” ceremonies in the US. In those areas, confirmation for adults and children is emphasized. Coming from such an area I was impressed by the honesty of the NZ church not making promises for the infant which cannot be kept anyway. Unfortunately, the only real answer I can think of is to stop infant baptism and only give it when requested by each person, age limit undetermined. I love the image of the “de-baptism” ceremonies with hairdryers, Chris. I will have to look them up. Bishop Colin Buchanan encourages people who have had a second “(adult) baptism”, once they realise that baptism is once only, to renounce their second “baptism” – sending back certificates etc. Perhaps we can ritualise this from the hairdryers rite. Your age-undetermined person can also stray from the path. I have resisted joining this thread as I am far too closely aligned to a position, being one of the principle authors of the newly proposed rites. However I have read enough to no longer be able to hold out. Firstly, let me be clear – the Eastern Church DOES NOT have confirmation, period. Westerners like to describe the post-baptismal chrismation as such, but that is a long bow to draw. However for those archers among us can I quietly suggest having a good look at the prayers following the water rite in the proposed baptismal liturgy. Secondly, for at least 600 years (I would argue much longer) there has been no single understanding or practice of confirmation ecumenically or internationally. It means different things to different denominations and in different contexts. Even within the Anglican Communion there are wide variances in belief and practice. Thirdly, if you accept baptism as the full and final point of initiation into the Church, confirmation as it is currently liturgised and spoken of is a significant problem. Lastly, in this country most of those few still advocating confirmation are using it as a cross between a rite of passage and an opportunity for a personal declaration of faith and commitment. Neither of these fit the classical definitions of confirmation. What we have been left with is a square hole into which many people are trying to force various sizes of round pegs. The proposed rite seeks to round the hole. I won’t comment on the proposal to retain it as an episcopal rite, apart from to say this was not for either theological or liturgical purposes. Bottom line, the current square hole is most often ignored and surrounded by very thorny bushes. I vote for a new hole. Thanks, Brian. You and I are possibly/probably on the same page – and certainly in the same chapter. Some people are not in the same book. I am not convinced that what is proposed follows through from what the theory would point to. And I can make absolutely no sense of having two baptism rites: one for adults, one for infants. Easter Season Blessings.
. . . and thank you for this one also! It never was an Initiatory rite except in Orthodoxy. .
Not so, for example, Elizabeth I was baptized and confirmed at three days. the book quoted (Liturgy for Living 2000 by Louis Weil & Charles P. Price) gives, before and after that page, a very good summary of the history of the separation of Baptism and Confirmation in the West. “One receives the Holy Spirit in Baptism. Dear Bosco, I strongly endorse the thesis – of the necessity to retain the rite of Confirmation. As you suggest here, the rite requires proper preparation for, primarily, those who were baptized in infancy and now ready to commit themselves, personally, to the fullness of active life in Christ. The idea of ‘more’ Spirit being given is problematical semantically. The words ‘strengthen’ and ‘renew’ may, to some people, imply ‘increase’. However, the gift of the Holy Spirit in Baptism can never be decreased as God’s gift; BUT can its potency be ‘renewed’ or ‘strengthened’ in the rite of Confirmation? I believe; Yes. Whatever the answer to that conundrum; I do believe, that people Baptised as Infants do benefit from Confirmation; if only as a reminder of the great gift of Christian Initiation they have already received. But a lot depends on the teaching preceding the recpetion of the rite. I believe that all adults (who have not yet been Baptised) should be Baptised and Confirmed at the same time. But is the Bishop necessary as the celebrant? Surely a priest acts on the Bishop’s behalf in the other great Sacrament of the Church. What does it mean when a person is baptised as an adult – and then goes on to be confirmed? Baptism, as an adult, as quite a simple service – followed by confirmation, in a cathedral, with much drama, and the bishop – can give the impression that confirmation is the significant service. One is, then, baptised in order to be confirmed. On holiday in Bogota. There is a notice in the Cathedral here which says First Communion is administered to 9 to 13 yr olds. Confirmation to 14 to 18 yr olds.Both following a period of Catechesis. Last year when I was here I attended the Cathedral mass where the Cathedral Administrator administered Confirmation to about 20 adults of various ages. Alas my Spanish is too little to ask about the theology of confirmation in this context. Thanks, Perry. Easter Season Blessings.